Zinn & The Art of Triathlon Bikes is a book that will show you everything you need to know to do your own bike repairs. Recommended for: serious cyclists and others who like to do their own bike repairs. Lennard Zinn is a professional bicycle framebuilder. He owns his own company, Zinn Cycles (www.ZinnCycles.com), in Boulder, CO. And he has the right background to build bikes. First, his academic degree is in physics. Then, after graduating from college, he became a member of the US Olympic Cycling Team. He has been producing custom frames for road bikes, triathlon bikes, and mountain bikes since 1982. He is the author of several other books on bicycle maintenance. • What I Liked About This Book: It's thorough, extremely thorough. Let me say, if something was omitted from this book, I don't know what it could be. Zinn reviews how to repair and maintain every part of a bike. For each part, there is both a detailed, step-by-step "how to" explanation along with an exploded view of the parts. In fact, there are so many illustrations that a separate index is provided just for those and that index itself is 6 pages long! There's not much to criticize. 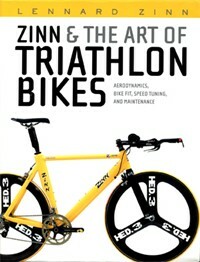 Zinn & The Art of Triathlon Bikes definitely contains a wealth of information. But, if I had to be picky, I might say that the title is a little misleading. Obviously, the title is a take-off on the famous book Zen and The Art of Motorcycle Maintenance. That's OK, but the "Zen" book is about the cerebral experience of riding motorcycles. And, with "Zinn" and "Zen" sounding so familiar, when I bought this book, I was expecting a discussion of the experiences of what it's like to compete in triathlons or competitive cycling, or something like that. Instead, Zinn's book is essentially a detailed repair manual. If that's what you're looking for, then great. Just don't be misled by the title. I can highly recommend this book. 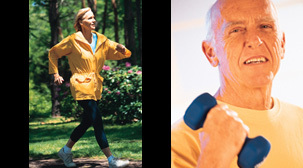 It is very thorough -- maybe more detailed than what the average bicycle rider needs. But why not have a great resource like this on your shelf? You never know when you might need it!